For anyone still struggling to write that perfect SEO headline, intro or tweet, there is good news - and perhaps less welcome advice - from BBC expert Rob Millard. Is SEO (search engine optimisation) a “dark art”? Absolutely not. Do you need an SEO “guru” to set you and your website on the right track? Not necessarily. Can it be a quick fix? Almost never. A broad brush, you might think, but while Millard had plenty of extra tips to raise the profile of web content - amid Google’s two trillion searches a year - he kept coming back to these and a few more basics: do the research to find out what people are interested in; use language they understand; make time to actually put good methodology into practice. In the business of audience optimisation, as well as searchability, a good starting point was Google Trends, to find trending topics and key words people are using to find certain stories, “almost in real time”. This can be insightful for news stories, but also more widely useful for feature material, he said. 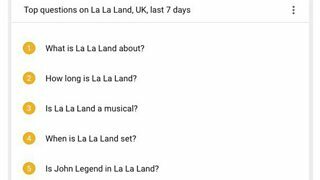 La La Land has been a big topic in the last week, so if you’re writing a profile of the film, it could inform your piece to know that among the top five search questions recently have been “When is La La Land set?” and “Is John Legend in La La Land?”. 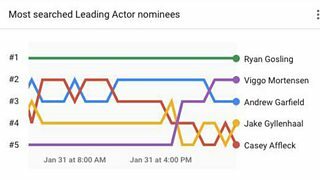 On the allied topic of the BAFTA Awards, also trending, “How can I attend a premiere?” was, perhaps surprisingly, the fifth most popular search query. Could that be a feature in the making? For hard news, data on a trending term like “Brexit” can be filtered over a chosen period to, say, “latest” (perhaps helping to update an explainer) or “rising” (showing fastest growing recent interest). Millard’s advice was to use the Google tool as broadly as possible. The term “Brexit”, of course, produces many times more, broken down into “how Brexit…”, “when Brexit…,” “why Brexit…” etc – prompting different potential story angles, Millard said. One “misconception” the BBC News man was keen to knock down was that SEO is about “clickbait and cheap traffic”: “The fact that people are searching for, say, ‘Brexit’ means they’re already engaged. They’ve bothered to search for that term before they hit your site,” he pointed out. So to “optimise” the chances of more people finding your content, producers and journalists needed to “use the same language” as their target audience. With apologies to colleagues on the BBC News website, Millard cited a recent headline on an industrial fire story (Firefighters tackle blaze at Deeside paper mill). Though a term beloved of journalists, “blaze” is not one most people would ever dream of including in a search, he argued. “Deeside fire” was a much better bet. Asked about optimum placement of key words, Millard’s advice was to keep key phrases intact in headlines or use a ‘kicker’ (two or three words followed by a colon), as a good way to get searchable terms up front. Search engines were now pretty good with synonyms, he added, so there was less need to repeat key terms throughout an article. Promo opportunities were pretty open-ended, but (for BBC News, at least) any checklist would include your own website and homepage, other sites within your organisation, Facebook, Twitter, Instagram, Reddit, email newsletters, shares by co-creators and influencers, industry contacts. A common pitfall for editorial teams, he believed, was to hire an SEO agency, only to then fail to budget for the time the team needed to implement the expert advice. “You may not get instant traction - it can take years to fine tune a site for search,” he warned.